During the Paleogene Period and most of the Neogene, South America was an isolated continent. 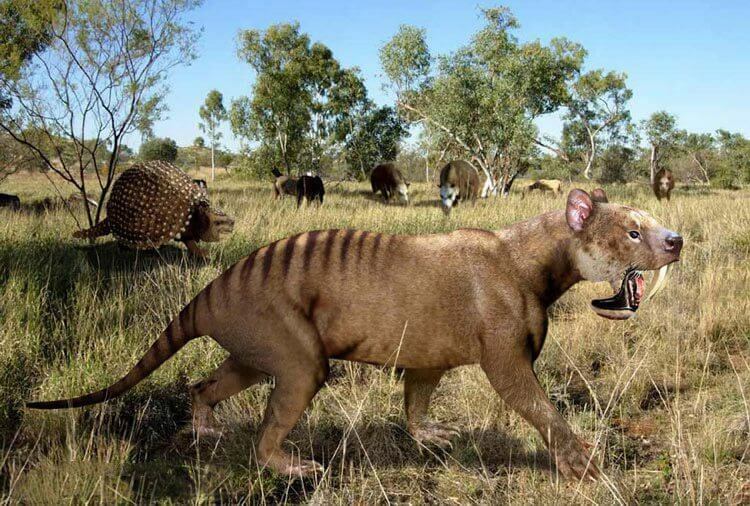 The modern predators, the carnivores, were unable to reach it and the ecological niches they might have occupied were instead filled by various species of marsupial. They included, for example, the sabre-toothed Thylacosmilus and the marsupial hyenas, Borhyaena. The sabre-toothed marsupial Thylacosmilus was one of the predators that evovled in South America when the continent still was isolated from the rest of the world. That changed when the Isthmus of Panama formed between North and South America around three million years ago. Mammals from the north such as jaguars and bears could now cross to South America. Most of the marsupials became extinct because they could not defend themselves against the new predators. Amber is fossilized tree resin, and most of the amber found in this part of the world comes from Poland and the Baltic States. 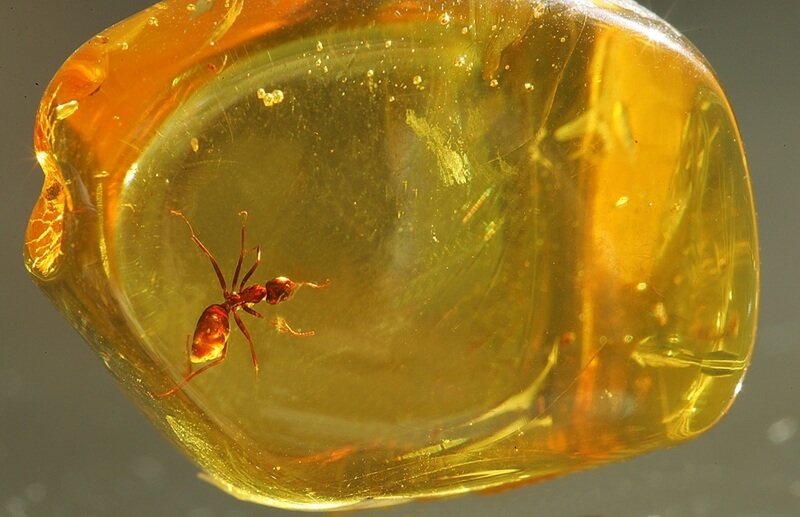 It was originally resin from trees that grew there around 50 million years ago. Reconstruction of Baltic amber forest. Med hjälp av genetiska studier av kådan vet vi att dessa baltiska träd är släkt med arten Japansk cypress, som idag bara växer i Japan. Men det är inte helt klart varför så mycket bärnsten bildas just där och då. En teori är att en sjukdom gjorde så att träden producerade extra mycket kåda. Ibland hittar man delar av växter, insekter eller andra djur inneslutna i bärnstenen. De fastnade antagligen i den klibbiga kådan och kapslades sedan in av ny kåda. Dessa fossil är ofta oerhört väl bevarade, och hör därför till de mest fullständiga fossila organismer som vi känner till. Genetic studies of the resin have disclosed that the Baltic trees from which it came were related to cypresses that today grow only in Japan. But it is not clear why so much amber was formed in the Baltic region just when it did. One theory is that a disease caused the trees to produce extra quantities of resin. 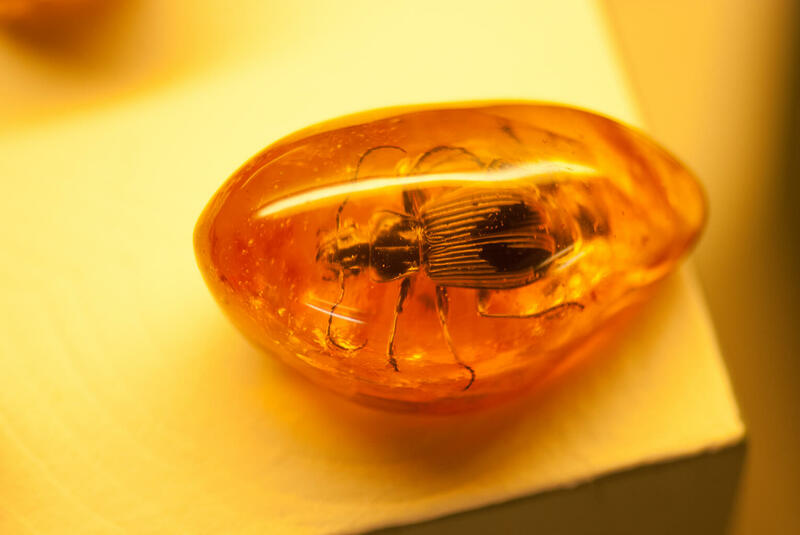 Parts of plants, insects or other animals are sometimes found enclosed in amber. They probably got stuck in the sticky resin and were then covered by new layers of resin. 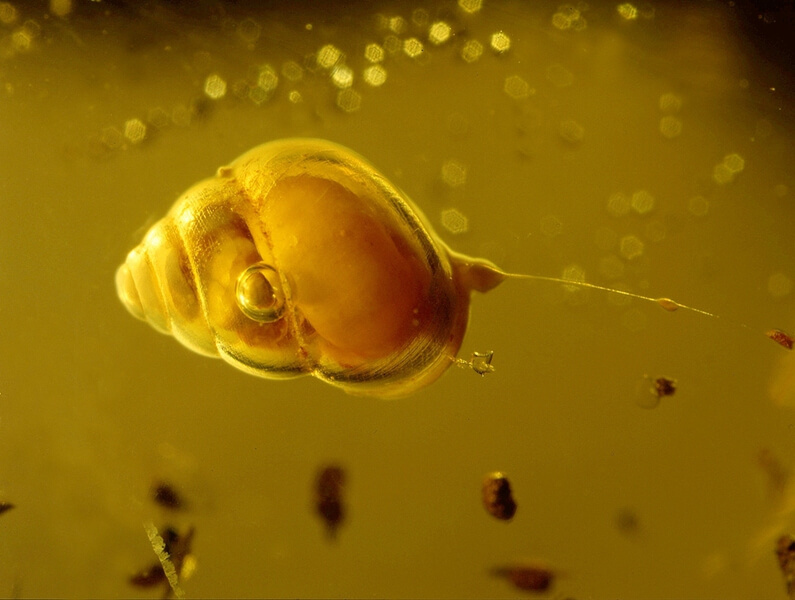 These fossils are often exceptionally well preserved and are among the most complete fossil organisms ever found. 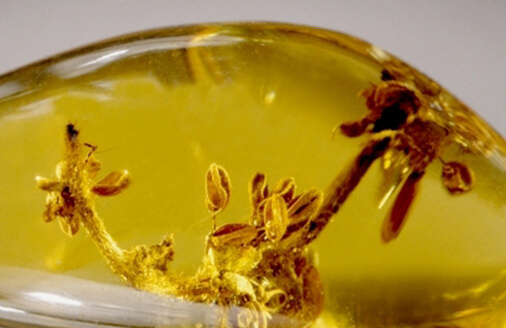 Various organisms preserved in Baltic amber: snail, ant, oak flower, insect wings and a beetle. 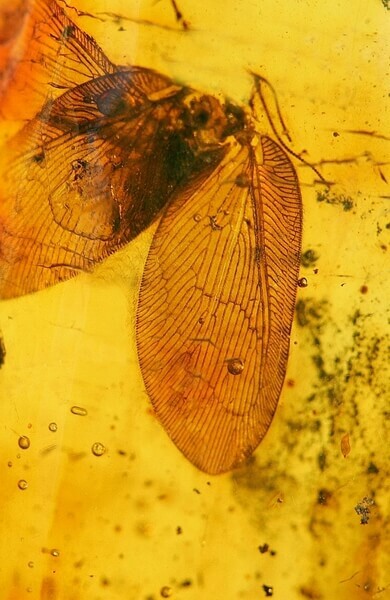 Fossils in amber are usually incredibly well preserved.